Static random-access memory (static RAM or SRAM) is a type of semiconductor memory that uses bistable latching circuitry (flip-flop) to store each bit. 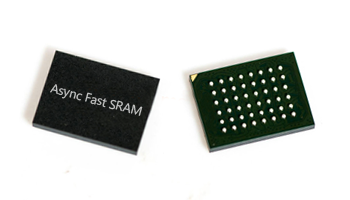 SRAM exhibits data remanence,but it is still volatile in the conventional sense that data is eventually lost when the memory is not powered.The term static differentiates SRAM from DRAM (dynamic random-access memory) which must be periodically refreshed. Be the highly-respected technology expert in Memory IC , and Fulfill people's needs in diversified field with the best products through continual innovation.